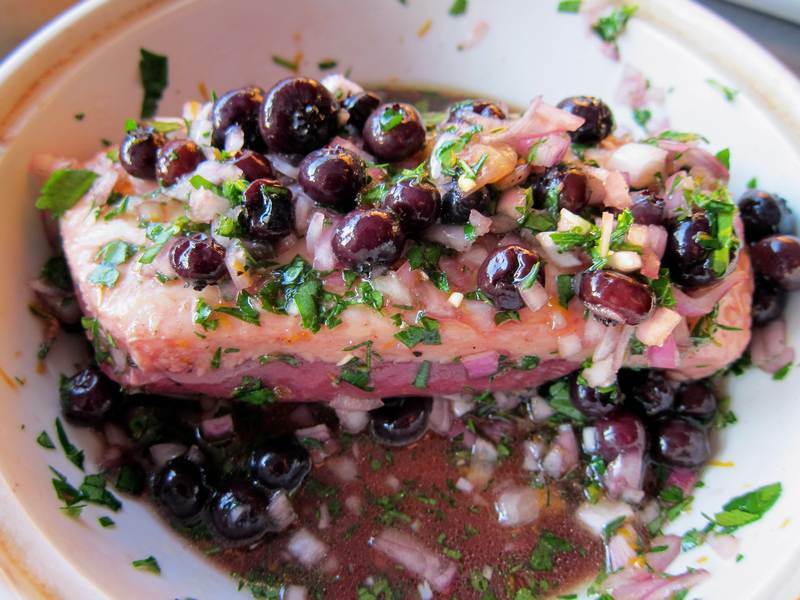 Blueberry Gin Duck – Bottoms Up! Years ago, when border crossing wasn’t the challenging activity that it is today I managed to get arrested sneaking across. It was an unmarked border crossing with a small, insignificant sign stating that it was necessary to report to Derby Line. I had never heard of Derby Line and didn’t think that whoever wrote the sign was referring to me. After all, I simply needed a container of frozen OJ to round out the ingredients needed for Duck à l’Orange. It was pretty funny even at the time, as I went through an interrogation for breaking the law. Perhaps it was that experience that has kept me from cooking duck again, until now. Don’t get too excited about making this recipe asap. Good things are worth waiting for, and planning for. So, say you want to make this for Mother’s Day, next May? Start now, and you’ll be all set. 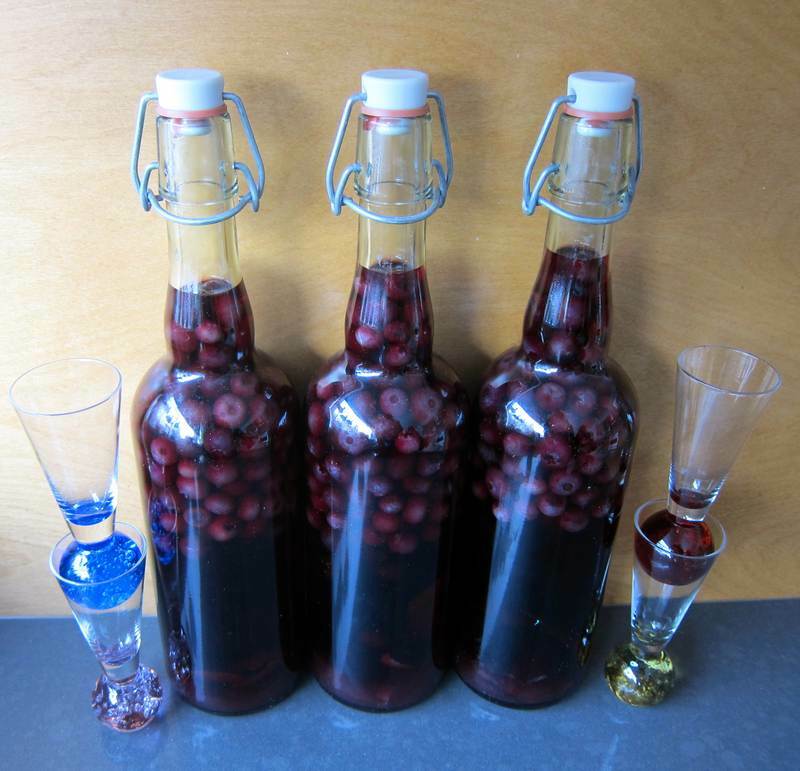 No, I’m not being silly; It takes that long to make blueberry gin–but a bottle for mom on her big day? That’s original. Divide blueberries, sugar, peel and lemon flesh among 4 bottles. Pour an equal amount of gin into each bottle. Fill up the rest of the bottle with juice. Close the bottles and hide them in a dark place for several months, turning them from time to time. This aperitif may be used to dress up vanilla ice cream or to compliment lamb or duck. 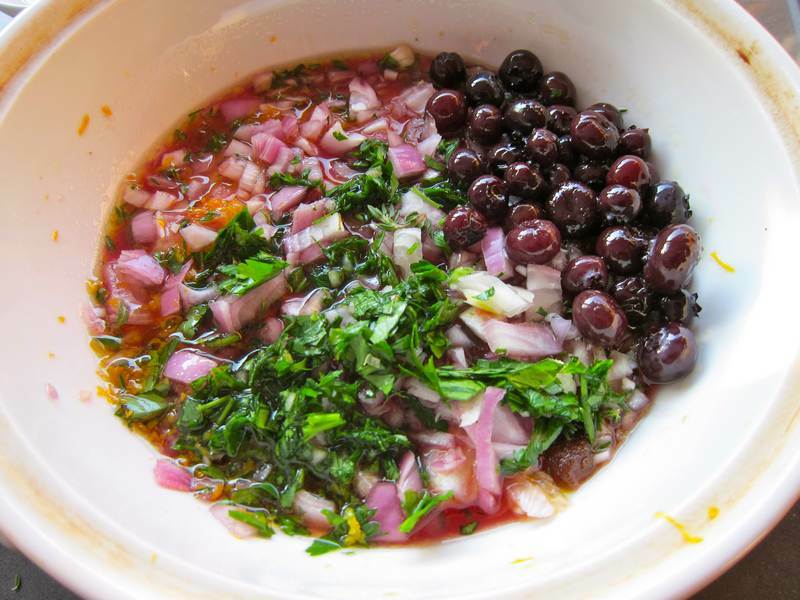 Combine the lemon juice, zest, oil, sugar, salt, pepper and aperitif in a small ceramic casserole, then add the berries, shallots, parsley and thyme. Cover and marinate the duck, skin side up, overnight. You’ve already waited 3 months for the Blueberry Gin. What’s another night? Remove the duck, pat dry, reserving the marinade, and transfer skin side down into a preheated heavy cast iron pan. Pampered Chef one works well as you can use the grill press. Score the duck breast slightly in a crosshatch pattern, then cook it on very low heat for about 10 minutes, allowing the duck fat to melt as the skin gets crispy and browned. Pour off the fat into a small dish, retaining 1 tablespoon to sear all sides of the breast. Use tongs to hold it in position. Once browned, which takes about 6 more minutes, remove the breast to a plate. Pour the marinade into the pan, adding some of the duck fat and a bit of butter. Simmer and stir for several minutes to evaporate the gin and cook the shallots. Return the duck to the freshly washed covered casserole to rest for 10 minutes before slicing. After slicing thinly on the diagonal, coat the duck with the marinade. You can judge by the colour if the duck needs a few more minutes in the oven. I believe that it’s supposed to be enjoyed rare, but everyone is entitled to his or her own preferences. Thanks to my food-and-drink-genius-sister, Julia Richardson, for conceiving of the aperitif recipe, making it for me this time around and personally guiding the marinade recipe. Julia visits me about once a month, and I no longer force her to cook for me. Now I just force her to help me analyze and carry out my jittery cooking. Thanks to my mom and my brother for loving this recipe and for encouraging me. Thanks to them, I may become a bit less jittery. 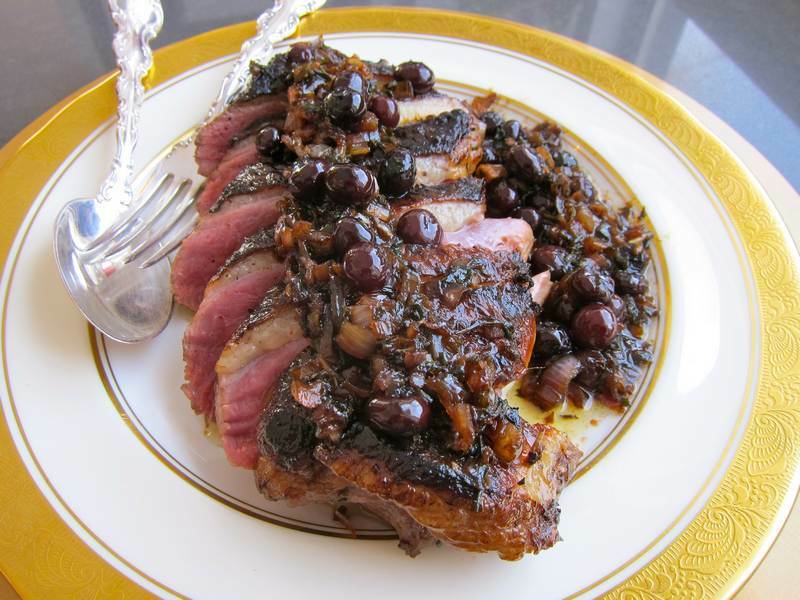 Check out Madonna del Piatto’s fabulous version of marinated duck. After sipping some aperitif, have a look at these incredible 50 best street art works of 2011. The real reason for making the Blueberry Gin is to have a little glass full in the evening. Enjoy! « Curried Butternut Squash Soup – Something Bright and Beautiful! 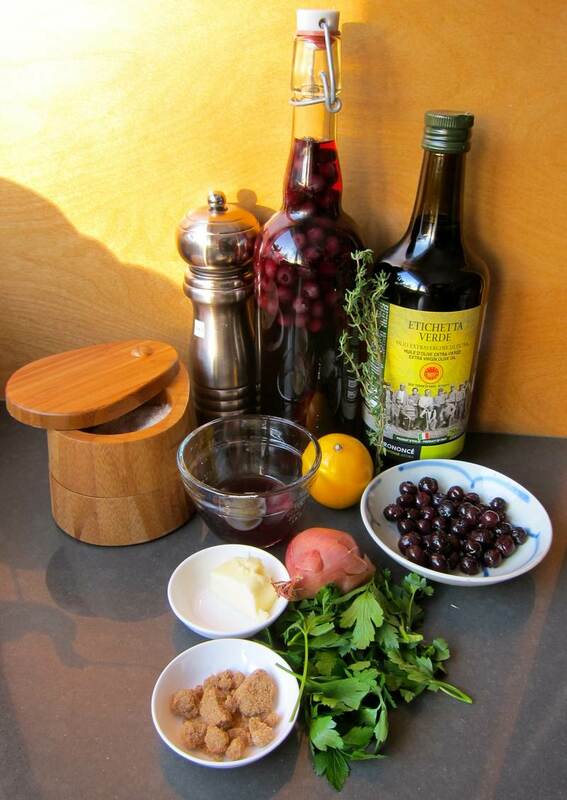 ok you are getting pretty confident here with your ingredients, presentation and gin-drinking! Especially the gin drinking! I may report you to Adrianne! Meat and booze. hi mom! Hi Adj! So glad I finally got you on board. Meat and booze, that’s all it took! Ha ha ha, getting caught crossing the border illegally! Seems pretty funny now!